ISLAND LAKE, IL - The controversial 'Chicago Motel Baba' Daljit Sinh, a former assistant Jathedar of Takht Sri Keshgarh Sahib, has finaly lost control of his Illinois based 'dera'. According a recently issued press release, the board of directors of his own orgniazation, Guru Nanak Sikh Mission of America Inc, has legally removed the baba from further controlling the mission's property and lakeside complex. The new board of directors of Guru Nanak Sikh Mission of America Inc. sent the following message on the details of the baba's ouster. We, the new Board of Directors of Guru Nanak Sikh Mission of America Inc., located at Gurdwara Gurjot Prakash Sahib, 217 W. State Road, Island Lake, IL 60042, would like to bring your kind attention towards recent events that have taken place due to the misuse of the Gurdwara and manipulation of Sikh Principals for personal gain by Self-style Baba and dera-dar Daljit Sin. It recently came to the attention of the local Sikh Sangat that Gurdwara Gurjot Prakash Sahib is NOT the sole property of one man but instead is owned by Guru Nanak Sikh Mission of America Inc. This information was verified through the County Clerks Office (If anyone would like to personally verify this with any of the board members, please feel free to do so). For the past 12 years, “Baba” Daljit Sin has been advertising the Gurdwara as his personal property. No elections or meetings have taken place at the Gurdwara during these 12 years. According to the By-laws any Sikh can be a member of the Gurdwara. There are no restrictions on place of residency. This translates into that any Sikh who visit’s the Gurdwara is a member by definition. Once the local Sikh Sangat learned that Gurdwara Gurjot Prakash Sahib was not the personally property of any one man, they obtained the by-laws of Guru Nanak Sikh Mission of America Inc. and discussed them with their attorney. The by-laws clearly stated that the sadh sangat is entitled to demand a meeting from the Current Board of Directors if 15 or more members sign a request. Keeping this is mind, the local Sikh Sangat requested a meeting be held by sending a formal request by certified mail. The then Board of Directors was required to hold a meeting within 14 days as per the by-laws, but they chose not to respond. According to the by-laws, if this request for a meeting is not met, the Sikh sangat has the authority to hold a meeting and pass resolutions, elect a new Board of directors, or make any other decisions regarding the operation of the Gurdwara. The local sadh sangat decided to take this step and hold a meeting on July 21st, 2010. At this meeting, a new interim Board of Directors was chosen by 70 members. On July 27th, 2010 the new Interim Board of Directors and an estimated 85 members of sadh sangat went to the Gurdwara. An Attorney was present at this time and local police force was notified ahead of time and accompanied us. At the Gurdwara, the new Interim Board of Directors was sworn in under the presence of Sri Guru Granth Sahib Ji, kirtan took place, and Hukamnama was also read. During the time these events were taking place, “Baba” Daljit Sin showed up to the Gurdwara and panicked after seeing all the cars in the parking lot. He turned off the power of the Gurdwara (simultaneously turning off all lights, fans, and air conditioning) and locked the Sikh sangat and the Prakash of Sri Guru Granth Sahib Ji inside. The police then came and tried to explain to Daljit Sin that the proceedings being undertaken by the Sadh sangat are according to by-laws and no laws were being broken. He was told to unlock the doors and complied to the request. The sadh sangat ate langar while the bewildered “Baba” was busy arguing with police officers and trying to convince them that the Gurdwara was his personal property. Once our proceedings were finished, the sadh sangat, along with the police, locked the doors to make sure that no unwelcome presence or acts would take place because Baba still had a copy of the keys and hold of the guest house because he had residency there. The next day the scorned Baba made reports to the police that damage was done to the Gurdwara. It should be noted that Daljit Sin himself had keys to the Gurdwara and that the police accompanied the sangat the night before when the Gurdwara was locked. This means that the damage took place overnight and Baba had no proof that the local Sikh sangat caused the damage. It is our personal belief and the conclusion of common sense that the scorned Daljit Sin himself caused this damage and tried to lay blame on the Guru ki sangat that had removed him from his hold on the Gurdwara. From then on, the Sikh sangat has been visiting the Gurdwara regularly and Akhand Paath was held from July 30th- August 01st and over three hundred members attended the event. Daljit Sin come to New York in 1993 and served as a granthi at a Gurdwara until 1995. In 1995 Daljit Sin was removed from his position as a granthi due to inappropriate behavior with a woman. He left New York and came to Chicago. In Chicago he used to go from Gurdwara to Gurdwara, begging for 5-10 minutes to speak so he could earn his livelihood. In 1998, members of local Sikh sangat including Daljit Sin bought an old church and turned it into Gurdwara Gurjot Prakash Sahib and donated it as headquarters of Guru Nanak Sikh Mission of America Inc. From 1998 to 2005, “Baba” was embroiled in much controversy due to his attempts to divorce his wife in India. These attempts never succeeded. It should be noted that it is against the Sikh Rehat Maryada to divorce a spouse. In 2005, the Pakhandi Baba was caught in Wauconda Motel with a married woman from New York. In this matter, he swore on the Sri Guru Granth Sahib Ji that he was not present at the Motel when the police reports clearly showed that he was. Due to this incident, he was punished by Sri Akal Takhat Sahib Ji. From 2005 to date, Baba has denied people their right to visit the Gurdwara on the grounds that they did not recognize him as a Sant but only the Sri Guru Granth Sahib Ji as their one and only Guru. He was also involved in controversy due to a case being filed against him in India for Immigration Fraud. As Sikhs, we have a responsibility to our religion. We can not let disease such as “Baba” Daljit Sin infect our religion down to its very roots. We can not allow someone who will lie openly in the presence of Sri Guru Granth Sahib Ji, to have any hand in the operation of our Gurdwara. It is the responsibility of every Sikh to stand up to tyranny and evil. So let us take an oath and join hands to eradicate scum such as Daljit Sin. 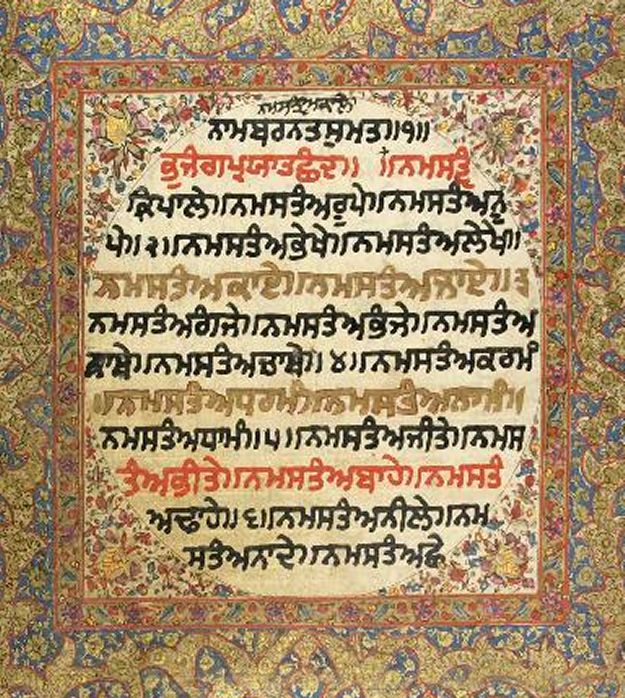 We request that all Sikh sangat come to the Gurdwara and pray before the Sri Guru Granth Sahib and take its blessing. New Board of Directors of Guru Nanak Sikh Mission of America Inc. This is great work. This "Baba" was a stain on Sikhi. Congratulations to the Chicago Sikh Sangat. Good, this "motel baba" got dealt with. Its so sad how people leave the essence of dhan sri guru granth sahib ji for some retard motel baba and pakhandis.